After I’d listened to KEF’s Blade Two loudspeaker ($24,999.99 USD per pair) for my April 2016 review of them, I sent back the review samples. KEF couldn’t have had them more than a day when they sent me an e-mail confirming receipt -- and asking if I’d like to review the Reference 3. My first inclination was to decline -- not because I wasn’t interested, but because the Blade Two was the fourth KEF model I’d reviewed in as many years, preceded by the R500 ($2599.98) in August 2012, the LS50 ($1499.99) in April 2013, and the Reference 1 ($7999.99) in December 2014. (All prices per pair.) I thought it might be better to explore some other speakers. Still, I didn’t reply right away. What eventually tipped things in favor of my reviewing yet another KEF speaker was the Reference 3’s price: $13,999.99/pair (add $150 for grilles). I’d loved the Blade Two, but I was interested in finding out what KEF could do for not much more than half its price. So I said yes. Since 1992, KEF has been owned by Gold Peak Group, of Hong Kong. However, KEF still designs and manufactures their flagship model, the Muon Mk.II ($224,999.99/pair), as well as their Reference and Blade lines, in their factory in Tovil, in Maidstone, Kent -- in the same location where Ray Cooke founded the company, in 1961. The building had been previously occupied by Kent Engineering & Foundry, hence the name. KEF’s remaining lines are also designed in Tovil, but are made in China in Gold Peak’s own factory. Although there are strong similarities in the drivers used in KEF’s Reference and Blade lines of floorstanding models (see below), no one would mistake a Blade ($31,999.99/pair) or Blade Two for a Reference 3 or 5 ($18,999.99/pair). The Blades are so named because, viewed from either side, that’s what they look like -- their literally cutting-edge (sorry) styling has gained the company much acclaim for pushing the design envelope for form and function. Their cabinets are unique, contemporary, and, to my and many other eyes, really attractive; their narrow, curved fronts provide an ideal platform for the tweeter and midrange to launch their soundwaves with minimal obstruction -- obviously, a good thing. The design also allows the Blades’ woofers to be mounted in opposition to each other on the speaker’s side panels, in a reaction-canceling configuration, which can be understood by Newton’s third law of motion: For every action, there is an equal and opposite reaction. Reaction (or force) canceling minimizes cabinet vibrations because it causes resonances created by the woofers that might otherwise creep into the cabinet to cancel each other out, because the drivers oppose each other. The References, with their rectangular cabinets and front-firing woofers, are more conventional in form and function. 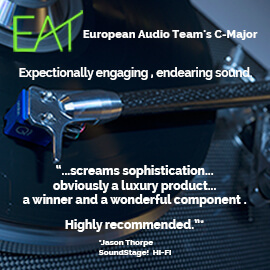 I asked KEF brand ambassador Johan Coorg about this on the day of the References’ launch, at Munich’s High End show, in May 2014. He told me that in many countries, particularly in the Far East, unusual-looking speakers like the Blades don’t sell well; those buyers prefer something more traditionally styled, almost furniture-like. KEF didn’t want to alienate a huge market segment by making another line of speakers as odd-looking as the Blades. With its base off, its grille on, and including the platinum-plated brass binding posts protruding from the rear, the Reference 3 measures 45.5”H x 8.1”W x 18.5”D. The metal outrigger base increases the height and width to 47.3” x 13.7”. All in, the speaker weighs a hefty 113.1 pounds -- about 35 pounds more than a Blade Two. 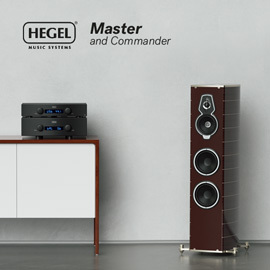 The reason the Reference 3 weighs more has a lot to do with the requirement for mass, which is necessary to make the cabinet as free of resonance as possible -- and unlike the Blades, the References don’t take advantage of reaction canceling. As a result, whereas the Blades’ cabinets are made of a light but stiff polymer composite, the References’ cabinets are made of thick, heavier MDF, both for the walls and the braces inside. All models can be had in standard finishes of Piano Black, Satin American Walnut, or Luxury Gloss Rosewood (at least in North America). My favorites are the Rosewood, and my review samples’ Piano Black -- but the Walnut, too, looks very good. For the Reference 3 and 5, two Foundry Edition finishes called Blue Ice White and Copper Black Aluminium are also available. The front baffle comprises two plates of aluminum sandwiching a layer of resin and is about 3/8” thick. Making the enclosure even more rigid, and therefore less liable to generate resonances of its own, are long, threaded rods that are attached to the back of the baffle, pass through the speaker’s entire depth, and are tightened down hard to the rear panel with threaded, flat-headed fasteners covered with rubber caps, to clamp and tension the entire cabinet. To my eyes, this baffle also makes the speaker look more attractive than if the front were finished the same as everywhere else, particularly with the color contrast it provides. A nice touch is how the holes for the drivers are cut in the baffle: the drivers are recessed, their edges covered with flanges to conceal all bolts -- as a result, the front looks clean and contemporary. I’m a stickler for manufacturing imperfections. When I unboxed the speakers, and before any dust could settle on them or fingerprints mar their shiny surfaces, I donned the same gloves that I use to swap out vacuum tubes, took off the protective covers, and examined every square inch of both Reference 3s. I found nary a flaw. 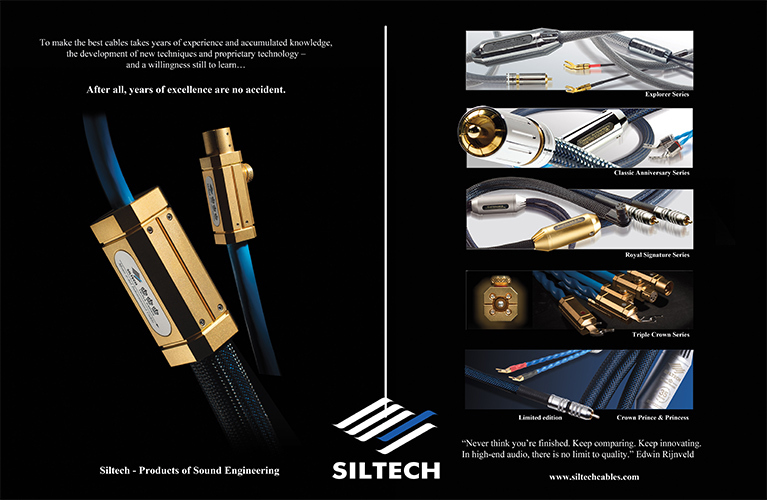 They were finished to a very high standard, as you should expect at the price. The rear panel has two pairs of binding posts that accept banana plugs or spades, and I really liked the shape of their nuts: like little wings, to let you get a good grip on them before twisting them down hard onto spades. Between these pairs of posts are two smaller, similar-looking Link knobs. Turned fully clockwise, these connect the upper (high-frequency) and lower (low-frequency) posts so that the speaker can be single-wired: connected to one channel of a power amplifier with one pair of speaker cables, which was how I wired the Reference 3s. Turning the Link knobs counterclockwise disconnects the pairs of posts from each other, for biamping (two amplifiers per speaker, two sets of speaker cables) or biwiring (one amplifier channel per speaker, two sets of cables). Almost all current KEF speakers are based on their Uni-Q driver technology, in which a tweeter is nestled into the cone of a midrange driver (in a three-way speaker) or a midrange-woofer (in a two-way). This configuration provides several benefits. First, the two drivers occupy the same acoustic space, thus becoming, effectively, a single point source: the soundwaves that each generates throughout its operating bandwidth originate from the same point in space instead of different locations, as with discrete drivers. This alignment is particularly useful when the drivers are reproducing the same frequencies, which occurs in the crossover region between the two, where their bandwidths overlap. In the case of the three-way Reference 3, that crossover frequency is centered around 2.8kHz. Second, the cone is shaped to control the tweeter’s dispersion, for an even more seamless blend of the outputs of tweeter and midrange or midrange-woofer in the crossover region. Third, the cone of the larger driver acts as a waveguide for the tweeter, increasing the latter’s output in the lower part of its bandwidth, below about 7kHz, which means it needs less amplifier power in that range to reproduce it at a given sound-pressure level (SPL). KEF’s head of acoustics, Jack O’Clee-Brown, told me that the maximum gain of the Reference 3’s tweeter by the waveguide is about 7dB at about 3kHz. Coincident driver arrays like the Uni-Q aren’t unique to KEF. What sets KEF’s version apart is the work they’ve done to perfect the technology. This includes the shape of the midrange cone, the surround, and the unique “tangerine” waveguide -- the tiny, eight-bladed, propeller-looking thingy that’s attached to the cone and rests within a couple millimeters of the tweeter. According to O’Clee-Brown, it was named such because, when they were developing it, someone said that it looked like just-peeled tangerine pieces joined at one end and laid out. KEF debuted the “tangerine” in 2009, in the Concept Blade, an experimental prototype that never went into production but ultimately inspired the original Blade (2011). From then on, the “tangerine” has been part of all Uni-Q drivers. Like the mid cone itself, the “tangerine” also increases the tweeter’s output and affects its dispersion, but only above 10kHz -- high in the audioband. It also helps tame the nasty breakup resonance inherent to metal-dome tweeters, which, in the case of the Reference 3, occurs at just over 40kHz, an octave above the audioband. Finally, it helps protect the fragile aluminum dome -- a good thing, as I suspect that most people will use their Reference 3s without grilles. Not only do the 3s look better that way (to me, anyway), but more important, KEF says the speakers sound better naked, due to less obstruction in front of the drivers. From the LS50 up to and including the Muon, all KEF speakers have Uni-Q drivers with 5” or 5.25” aluminum cones and 1” aluminum domes. Viewed from the front, and apart from the surrounds, these drivers all look pretty similar, leading some to believe that they’re pretty much the same in every model. They’re not. In the summer of 2015, during a visit to KEF’s UK headquarters to shoot some videos for SoundStage! InSight, I learned from Jack O’Clee-Brown how the Uni-Qs differ; we included some of that information in the first video we produced there, “KEF and the Uni-Q.” The video illustrates it well; here, I’ll say only that when you see the backs of the various Uni-Qs, you see how their frames differ, as do the magnets for their motor systems -- the LS50 and R-series Uni-Qs use conventional ferrite magnets, while the Blade and Reference Uni-Qs have far more powerful neodymium magnets. The Blade and Reference Uni-Qs also have much bigger voice-coils that can handle more power, and are positioned to stiffen the cones. And the Blade and Reference Uni-Qs differ subtly from each other -- for example, their surrounds aren’t quite the same. Ditto KEF’s woofers. From the R models up through the Blades, the woofers’ shallow aluminum cones all look similar, but again, you have to see them from behind to note the different frames and motor systems that go into the Rs, the References, and the Blades. The models within each line differ in how many woofers each has -- all things being equal, more woofers equals deeper bass extension and less distortion, the latter because each woofer doesn’t need to work as hard to produce the same output. For instance, the Reference 1 has a single 6.5” woofer mounted below its Uni-Q; the Reference 3 has two 6.5” woofers, one below and one above the Uni-Q; and the Reference 5 has four 6.5” woofers, two below and two above its Uni-Q. For all models, the midrange is crossed over to the woofer(s) at 350Hz. One more thing affects how low all the KEF References can go: their adjustable ports. KEF supplies short and longer port tubes with each model -- two of each with the Reference 3, as there are two ports. KEF specifies the Reference 3’s low-end response with the short tubes installed as 38Hz; with the longer tubes, it’s 35Hz. Those numbers don’t sound like much, but what they don’t tell you -- and what KEF’s specs don’t mention (again, O’Clee-Brown told me) -- is that the shorter tubes provide a bit more bass output between 80 and 100Hz, which can give instruments such as kick drums slightly more punch. Which port tubes you should use will depend on your taste in sound and how the Reference 3s interact with your room’s acoustic. I liked the punch with the short tubes, but for almost all my listening I used the longer tubes: the bass went slightly deeper, the entire low end didn’t excite modes in my room and thus sounded very even -- and kick drums still had enough kick. I drove the Reference 3s with my Blue Circle Audio BC204 stereo amplifier or JE Audio VM60 monoblocks, via Siltech’s Classic Anniversary 330L speaker cables. The hybrid BC204 has a tubed input stage and a solid-state output stage, and is specified to output 150Wpc into 8 ohms or about 250Wpc into 4 ohms. Each VM60’s output spec is 60W into 8 or 4 ohms. I heard small differences between the amps: mostly, the JEs were a touch softer in the bass, a bit sweeter in the highs, a little richer in the mids. What I also liked about the VM60s was that they drove the Reference 3s effortlessly and to fairly high volumes -- a bit of a surprise, as KEF specifies the 3’s sensitivity as 87.5dB/2.83V/m, which is only average. However, KEF also states the 3’s nominal impedance as being 8 ohms with a 3.2-ohm minimum, which is likely why the JEs didn’t find them too taxing. 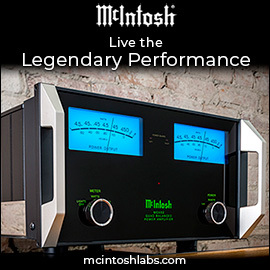 For preamps, I used Simaudio’s Moon Evolution 740P, EMM Labs’ Pre2, or Audio Research’s GSPre. The preamp was preceded in the chain by an EMM Labs DA2 DAC, fed by a Samsung laptop via an AudioQuest Carbon USB link. Roon and JRiver Media Center 20 are my playback softwares. Balanced analog interconnects running in and out of the preamp were Crystal Cable’s CrystalConnect Standard Diamond. For a short while, and only with the GSPre (the only preamp I used that has a phono stage), I also used my Systemdek 2X2 turntable, with a Rega Research RB300 tonearm and a Benz Micro Silver cartridge. It had been more than two years since the Reference 1s were here, so I couldn’t make direct comparisons -- but I hadn’t forgotten how impressed I was with the Ref 1’s accuracy from the upper bass up through the highs. From the upper bass up, it neither emphasized nor recessed any part of the audioband, which made its sound dead neutral --and it always sounded dazzlingly clear, indicating very low distortion. Basically, it reproduced what I fed it so faithfully that I could easily imagine it being used as a recording-studio monitor. And its bass was exceedingly deep, tight, and clean -- for a stand-mounted speaker. The Reference 3 erased that closing caveat. The additions of one woofer and a larger cabinet resulted in a much deeper, fuller bottom end than the Reference 1’s, with the upshot of a bigger, more-fleshed-out sound that nonetheless remained just as accurate throughout the rest of the audioband. Listening through the Ref 3s to “Almost Like the Blues,” from Leonard Cohen’s Popular Problems (24-bit/96kHz FLAC, Columbia) -- a recording I’d also played through the Ref 1s -- I heard depth in the low end, particularly from the bass guitar, that I know the Ref 1s hadn’t reached in my room. That extended bass depth let me not only hear more low frequencies, it resulted in a greater sense of space and a more fulsome sound overall. Cohen’s voice sounded incredibly rich, very robust but not overly so -- as far as I know, the 3s didn’t exaggerate anything that’s inherent in this recording. The level of detail revealed was also superb. For example, it was so easy to hear the changing sound of his voice as he moves his mouth closer to and then a little away from the microphone that I felt I could actually see it happening -- as though I were there in the studio, at the other end of his vocal-mike feed, as he recorded the song, and not at home in my listening room. Like the Reference 1 and Blade Two, the Reference 3 could sound great at listening levels akin to a whisper, but could also take punishing amounts of power and play louder than most would ever need it to -- all while remaining ultraclear and obscuring no details. Using the Blue Circle BC204 amplifier because it provided higher power than the VM60s, I played the title track of Jackson Browne’s Running on Empty (24/192 FLAC, Asylum) at the sort of volume levels you hear at a party at 1am, after everyone’s had drinks and has had his or her chance to turn up the volume just a little more. Moments after Browne counts the song in, the drums pound with brute-force weight -- the ambience of the recording venue swamped my room, and Browne wailed so loud I could have easily heard it outside, through the plasterboard, 4” of insulation, plywood, and bricks of my winter-proof Canadian house. It sounded gloriously loud and raucous -- and utterly clean. In my experience, that’s one of the great things about KEF speakers: they can play with incredible accuracy, from super-quiet to unbelievably loud, but the quality of sound remains the same. Track 1 of We Go Home, “Song of Me and You,” has a much softer-sounding kickdrum. Instead, the focus is on Cohen and his guitar. If a tweeter is voiced too hot or can’t play cleanly enough, that guitar can sound a little steely and bright and Cohen’s voice a little too sibilant, as the recording captures some of that quality. Through the Ref 3s, Cohen’s guitar had plenty of energy and a bit of bite, but it never crossed the line to sounding bright, and was definitely not steely. Adam Cohen’s voice sounded fleshed-out and full in a way similar to his father’s -- which is exactly how it sounds with the best speakers I’ve listened to this recording through, and when I’ve heard Adam Cohen in concert -- without any exaggerated sibilance. To really test if a speaker is voiced too bright, I, like a number of our writers, turn to Adele’s 21 (16/44.1 FLAC, XL Recordings), every track of which was recorded, mixed, and mastered way too hot. If the system it’s played through is also bright, the highs will be like razor blades in your ears. The Reference 3 didn’t tame any of that inherent high-frequency brightness -- but it didn’t make it any worse than it already is. I’m not much of a fan of country music, but Alison Krauss’s latest, Windy City (16/44.1 FLAC, Capitol/Tidal HiFi), has been on repeat play the last few days. What I liked most about hearing this album through the Reference 3s was how clearly and cleanly her voice was presented on the stage. Whoever recorded this track apparently didn’t do a lot to her voice to make it pop, as the voices on some recordings do, but the Ref 3s’ high resolution sliced right through the mix, letting me focus on Krauss. I can’t emphasize that enough -- the Reference 3 excelled at passing along to me exactly what was on the recording, providing every detail that was there and none that weren’t. “Misguided Angel” and “Sweet Jane,” from one of my favorite albums of all time, the Cowboy Junkies’ The Trinity Session (16/44.1 FLAC, RCA), jazzed me with how clear the voices sounded through the KEFs -- but I was even more enthralled by the size of the soundstage, and how easy it was to focus on each musician’s sound and his or her position in space. Knowing this album as well as I do, and having often discussed it with Peter J. Moore, who produced and engineered it, I could also tell that the Ref 3’s overall tonal balance was as good as it gets. This album’s bass energy, which is very deep and dominant throughout, can easily be reproduced too heavily, and when it is, it obscures Margo Timmins’s voice. When the bass is too light, her voice is more audible, but the album loses the weight that’s so essential to its sound, and the soundstage shrinks. Through the Reference 3s, there was never too much or too little bass -- from the lows through the highs, its relation to Margo and the other Timmins siblings was always exactly right. Other than the Reference 3’s minor limitation of being unable to reach the very bottom of the audioband, I consider it to be among the most accurate and revealing speakers I’ve heard. The last KEF speakers I’d listened to before the arrival of the Reference 3s were the Blade Twos, which of course provided my most recent point of reference for the brand’s “house sound.” And what a reference point: powerful, deep bass to below 30Hz; excellent neutrality across the audioband; not a hint of strain when played obscenely loud; and aural images more precisely drawn than any I’d heard, from the center stage to way out to the sides and deep rear. Furthermore, while reviewing the Blade Two I was also listening to Vivid Audio’s Oval B1 Decade ($28,000/pair), which, except for its inability to provide bass below 35 or 40Hz (depending on how close they’re placed to the walls), reproduces recordings with astonishing accuracy and a high level of immediacy. The Oval B1 Decade and Reference 3 each have two 6.5” woofers (the Vivid has one in front, one in back); each Blade Two has four 6.5” woofers, two per side panel. Doubling the number of woofers matters -- neither the B1 Decade nor the Reference 3 could approach the Blade Two’s bass depth, weight, and slam. The Blade Twos rendered the ultradeep bass tones in the Cowboy Junkies’ “Misguided Angel” powerfully, cleanly, and, from what I know of the recording, fully -- in my room, no other speakers have reproduced this recording’s bass information with so much weight and control. The Blade Twos gave the kick drum in “We Go Home” as much weight as when I heard it live at an Adam Cohen concert; both the B1 Decade and Reference 3 stifled it a touch. In terms of neutrality and detail from the midrange up, the Reference 3 and Blade Two for the most part ran neck and neck, and the two pairs of speakers projected soundstages of comparable width and depth. Where the Blade Twos stepped ahead of the Reference 3s was in imaging -- the Twos can position images anywhere on the stage with uncanny precision. By a lesser margin, the Blade Twos also sounded a bit more open in my room than did the Ref 3s -- as did the Oval B1 Decades (see below). They projected their sounds more freely into the room, leaving no telltale cues of sounds emanating from their enclosures. Where the Reference 3 handily beat the Blade Two was in lower-midrange clarity -- the region where the Uni-Q driver hands off to the woofers. When I reviewed the Blade Two, that deficiency was most noticeable when I played “The Road,” from Jackson Browne’s Running on Empty, where, at the 2:58 mark, the recording shifts from Room 301 of the Cross Keys Inn to a concert at the Garden State Arts Center. As I wrote in my review of the Blade Two: “it was here that the Blade Twos added a little bit of chestiness and congestion that the Vivid B1Ds didn’t.” And neither did the Reference 3s -- to my ears, their woofers and midrange achieved a better blend. The Reference 3s’ and Vivid’s Oval B1 Decades’ limits of low-end bass extension were roughly the same in my room, they were equally uncolored throughout the audioband, and their projections of aural images were similar: precise, just not as holographic as a pair of Blade Twos. Overall, their sounds were more closely aligned than the Reference 3s and Blade Twos were. Above, I described the small differences I heard between Vivid Audio’s Oval B1 Decades and KEF’s Reference 3s as being subtle. The differences in price between the two models -- and between the Ref 3 and KEF’s Blade Two -- are anything but: Both cost roughly twice as much as the Reference 3. That the Ref 3 can hold its own against these two topflight, reference-caliber speakers speaks volumes for how much performance KEF offers in this smallest floorstanding model of their Reference line. For its price, the Reference 3 is damn near impossible to fault as an accurate, high-definition loudspeaker. In fact, now I’m tempted to hear the Reference 5, to find out what it can do for $5000/pair more. But now that I’ve reviewed five KEF speakers within five years, I definitely won’t be reviewing another one anytime soon. Seek out the Reference 5 if it interests you -- but I suspect the Reference 3 will be all that most people will ever need who want accuracy, detail, and honest sound from a loudspeaker. Price: $13,999.99 USD per pair.